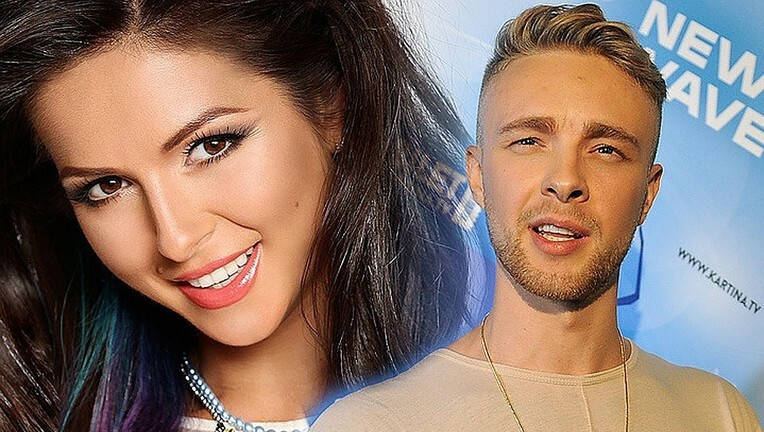 Egor Kreed and Nyusha had a nasty break up in 2016. Nyusha hid the pregnancy as long as she could. But the baby bump became too noticeable, and recently she admitted that she would soon become a mother. Fans, friends and colleagues of Nyusha began to congratulate hear on the newest addition to the family. And one of the first congratulations was expressed by the former boyfriend of the singer - Egor Kreed. "Nyusha, I congratulate you on your pregnancy. If it's a boy, then I congratulate you on baby boy in your family. Well, if the girl, then congratulate the entire country on the second Nyusha, "- said Egor on the air of the TV channel RU TV. Recall that Egor Kreed and Nyusha had a nasty break up in 2016, and the singer soon met her future husband, Igor Sivov. Now Egor and Nyusha no longer remember the past conflicts, and the singer always responds very positively to the former lover and is sincerely glad that the girl found her own happiness and very soon will become a mother. Last year, the 27-year-old singer married Igor Sivov, the chief advisor to the president of the International Federation of Student Sport. We assumed that the newlyweds want to become parents. But Nyusha neither confirmed nor denied the happy news - she posted the photos without hinting at baby bump. Fans of the singer ceased to understand anything. And they waited. At the presentation of her sportswear collection with the New York designer Leka, the singer finally opened up about pregnancy. Talking about working in the fashion industry, Nyusha said: - As you noticed, one more event happened. It's impossible to hide. In general, our family will soon become larger. Nyusha's fans supported her with applause. Her husband, Igor Sivov, stood modestly in the crowd and looked at the future mother with enamored eyes. Who is currently dating Egor - is unknown. According to rumors, it was Molly, but they say everything is not easy with Bella Hadid, but then he will look for a bride at "The Bachelor".